Item # 319082 Stash Points: 5,495 (?) This is the number of points you get in The Zumiez Stash for purchasing this item. Stash points are redeemable for exclusive rewards only available to Zumiez Stash members. To redeem your points check out the rewards catalog on thestash.zumiez.com. 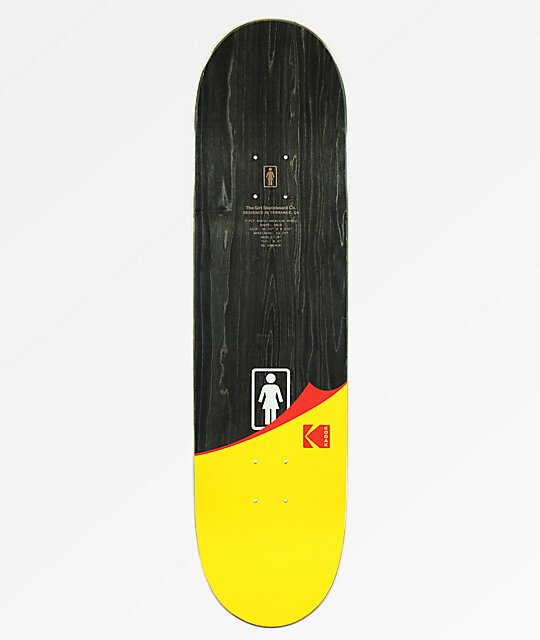 Develop your skills on the Mike Carroll Kodak skateboard deck from Girl x Kodak. 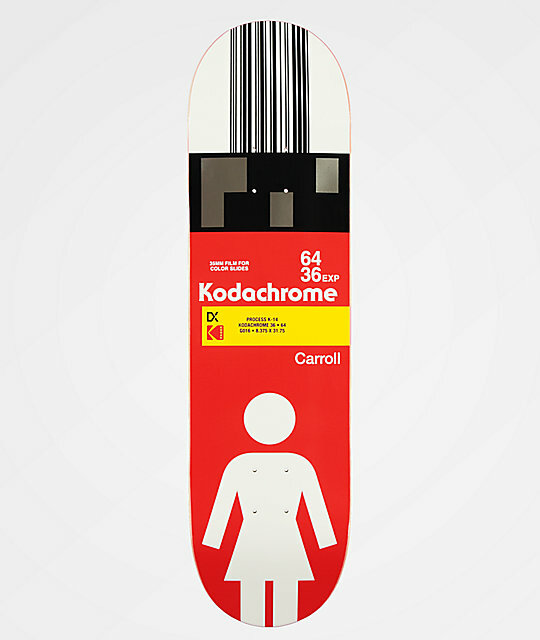 This Mike Carroll pro deck graphic displays a Kodachrome label and classic girl logo together for an iconic, vintage look. Just like Kodachrome film you'll be sliding on rails in no time on the Mike Carroll Kodak deck. 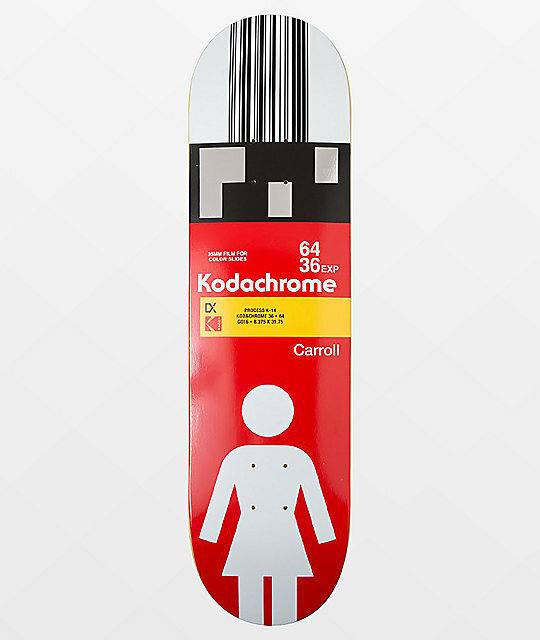 Mike Carroll 8.375" Skateboard Deck from Girl x Kodak. Signature Mike Carroll pro model.